“Although he was rooted in Tamil cinema, he had a thorough knowledge of national and international cinema,” Leslie Carvalho writes. Being on a national jury of the Indian panorama for the International Film Festival of India can be a challenging task. Viewing four to five films a day for close to a month can get tiresome, especially if the vast majority of films are mediocre, or, are not worthy of a certain standard. And, the volume of films is on the increase each year. Sifting through the vast maze of films, suddenly, a gem of a movie illuminates the silver screen. It could be from some remote region of the country, or, in a language unheard of. The discovery of these moments makes for a pleasant surprise and the cumbersome effort worthwhile. Similarly, the jury comprises of members from different regions of this vast country, and to find a consensus and arrive at a collective decision is a daunting task. In 2009, under the chairmanship of director Muzaffar Ali, a six member team split in two groups viewed half the films each, and then recommended films for the final round. A 69 year old, trim, soft spoken, quiet, gentleman from Tamil Nadu was part of my group. The other member was a filmmaker, from Tripura. We got down to the business of viewing films. During the course of our daily routine, apart from viewing films, discussing them, arguing about them, we do get to know each other slowly but surely. We are driven from the hotel to the venue, view a couple of films, have lunch together, view another two or three films, and are driven back to the hotel. We were put up at the ‘Lalit Ashok’ close to Connaught Place in New Delhi. We were left to our own devices for dinner. The gentleman from Tamil Nadu wasn’t pleased with the rich, oily food served for lunch. He would request the driver to stop over at ‘Saravana Bhavan’ on our return. “At least, let me have some simple South Indian food for supper,” he would say. At times we would have a ‘Thali’ despite the long wait, at other times he would pack a ‘masala dosa’, or ‘Idly’s’. He even requested the ‘Directorate of Films Festivals’ with our permission of course, if the three of us could be provided a simple South Indian Thali, for lunch. The soft spoken, quiet gentleman, was not quiet after all, we thought. He was J. Mahendran. The other member was Joseph Pulinthanath, a Don Bosco Salesian priest who made award winning films, Mathia and Yarwang. When J. Mahendran passed away on 2nd April, 2019, I couldn’t help but recall my decade long association with him. Much has been spoken and written about his path breaking films, Mullum Mallarum, Uthiripookkal, his screen writing and dialogue skill, and his talent as an actor. Along with K. Balachander, he made socially relevant films. 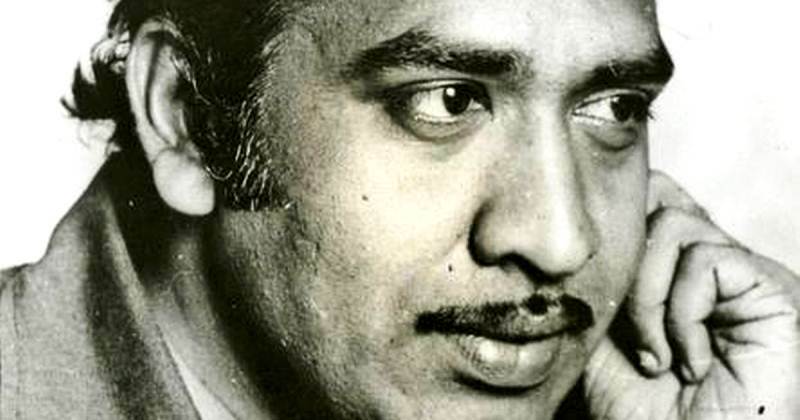 There is no denying the fact that J. Mahendran was considered among the prominent directors of the country and elevated Tamil Cinema to a higher level. I dearly called him Mahendran Sir. We would sit in three different corners in the auditorium and after the film ended, the auditorium lights would come on. We looked at each other and if the film engaged us, moved us, impacted us, there was a certain chemistry, no words were necessary to signal a thumbs up for that particular film. We were grateful for that instant cinematic connect and looked for totality in a film. Not just a particular aspect, but the film had to hold up as a whole. Although there were just two Tamil films selected out of 26, he was fine with it and reiterated that the Tamil Film Industry should do better. The two films were Achchamundu by Arun Vaidyanthan and Pasanga by Pandi Raj. We spoke on different aspects of cinema. Although he was very rooted in Tamil cinema, he had a thorough knowledge of national and international cinema. We spoke of our taste for certain genres, certain themes, certain preferences, the future of cinema and the kinds of films we wanted to make. During these intimate conversations, I told him about listening to old melodic Tamil film songs of yesteryear, just as I enjoyed listening to Kannada songs of Dr. Rajkumar. We touched upon a raw, common chord here, and there was a consensus and we decided to script a movie together on those lines. I stayed at his RA Puram residence for a couple of days and we managed to come up with the treatment of the film. We did take it further on occasions, but prior commitments, and present involvement with our respective projects, didn’t impel our work forward as we would have liked to have progressed. His health wasn’t permitting him the kind of energy and dedication that he wished for, but yet he was keen and committed. For Mahendran Sir, cinema was very personal. It had to do something to him. John Alexander, maybe with your blessings, I might just embark on this journey as you would have wished. I once asked him about the name change to J. Mahendran. He kept silent. I’ll take his silence for a YES! Rest in peace dear Sir! Leslie Carvalho is a filmmaker based out of Bengaluru.